As I’ve mentioned before, I take a lot of pictures with my iPhone, and when I saw this, I had to try it out. The Slingshot has two parts to it, first.. It’s flexible.. Holds any smartphone inside it, even the iPhone 5.. 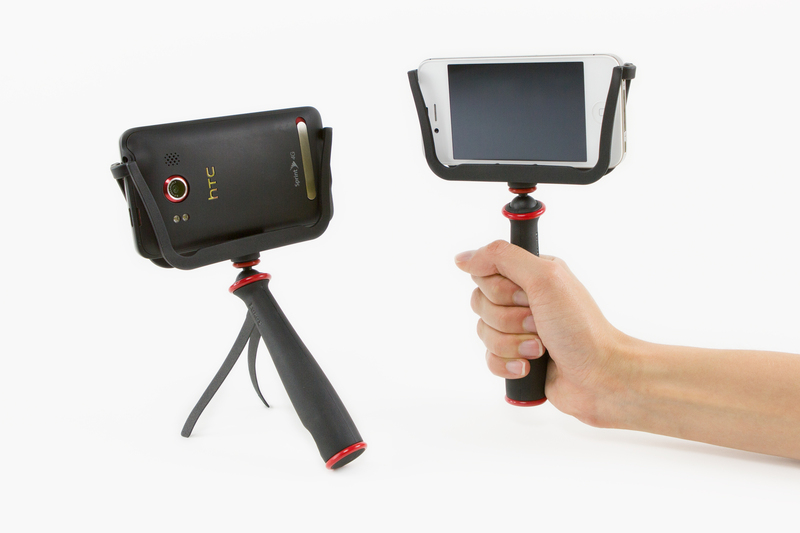 The second part, is the handle.. You can hold this, like a slingshot.. or you can flip out the legs and use it as a tripod. It has a plasticy feel to it, but it’s pretty stable..
I’ve even tried the handle out with my Glif, and it worked nicely. My only complaint is that it blocks the home button and the power button, so you want to make sure you are in camera mode before you put the phone in there. Otherwise, it’s worth trying out.